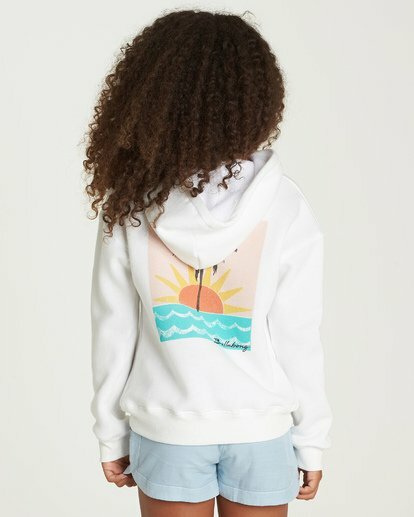 Sunrise and let coastal vibes shine in this essential hoodie. 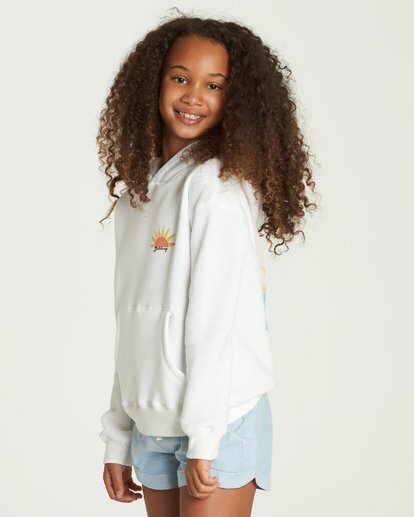 The girls sweatshirt is topped with palm tree and beach scene artwork prints at the left chest and center back. Made from soft fleece, the hooded pullover keeps to classic lines with a pouch pocket at the front. 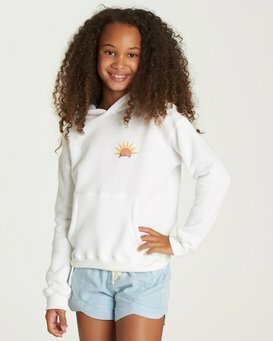 Palm tree, sun and sea prints at the left chest and center back.